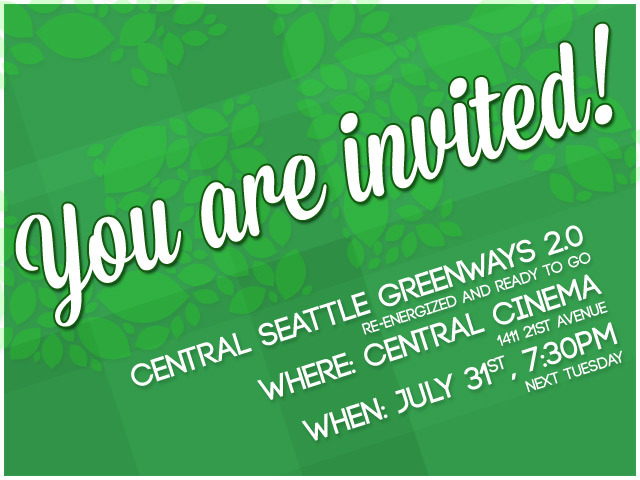 Next week, we will be holding our second kick off party to celebrate a re-energized Central Seattle Greenways. The event will be at Central Cinema at Union and 21st in the Central District at 7:30pm on July 31st. 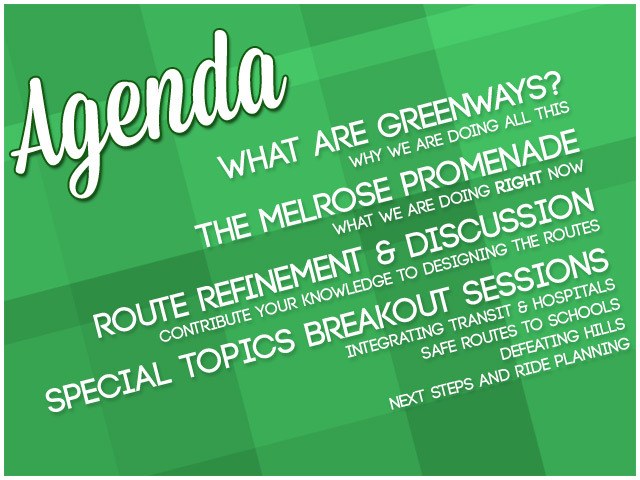 This meeting is so that we can have another round of refinement on our greenway candidate routes, hold breakout focus group sessions on some of the challenges that our neighborhood faces, and highlight the successes we’ve had so far (and what we hope to do next). Come talk with your neighbors about how we can make our streets safe for walking, biking, and playing for everyone in the community! If you have been wondering what Central Seattle Greenways is all about, or are not sure who to talk to get involved, this is your chance to meet everyone and get connected! If you are interested in taking on some aspect of getting Greenways built in your corner of central Seattle (or anywhere in Seattle), we want to hear from you. There is exciting stuff happening with neighborhood greenways here and there is support from the city to build them. In fact, the Melrose Promenade received $20,000 from the Seattle Parks Foundation to focus on planning a greenway on Melrose at the western edge of Capitol Hill! We are looking forward to getting more greenway routes adopted by the city, funded, and built so that everyone can enjoy them! Join us and help us build greenways in our neighborhood. Central Cinema is Seattle’s only Dine-In Cinema is located in the Central District neighborhood at 21st & Union. They have movies, beer and food! It is a great place to see classic films (the good and the so bad it’s good kinds). Check our their calendar for details on what movies are playing! A big thanks to Central Cinema for hosting us and generally being incredible. PS: If you haven’t signed our letter to SDOT and WSDOT about the 520 bridge, please add your name here!